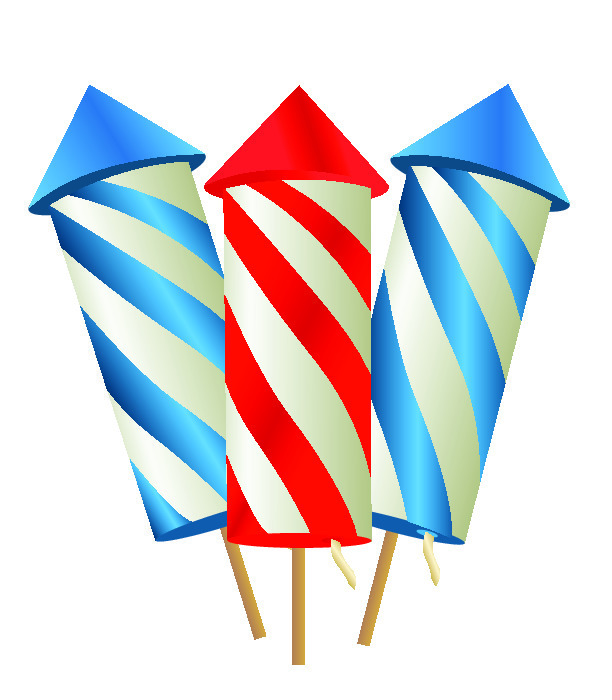 Be sure to check for schedule changes. 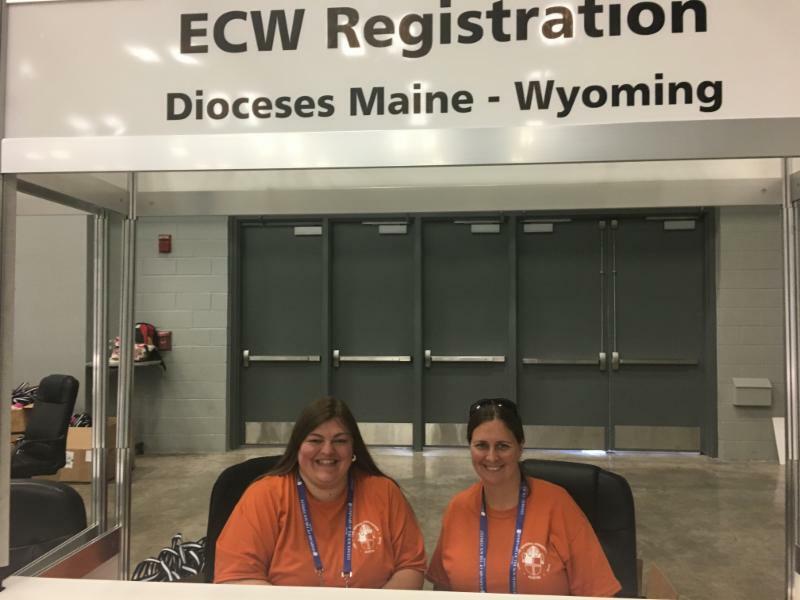 JuliaCheri Hoos from West Hills, CA (left) and Laura Johnson from Austin, TX are two of the approximately 800 volunteers at General Convention, of which Triennial Meeting is a part. By the time it's all over, volunteers will have worked more than 2,000 shifts, bringing their unique hospitality to the Jesus Movement. 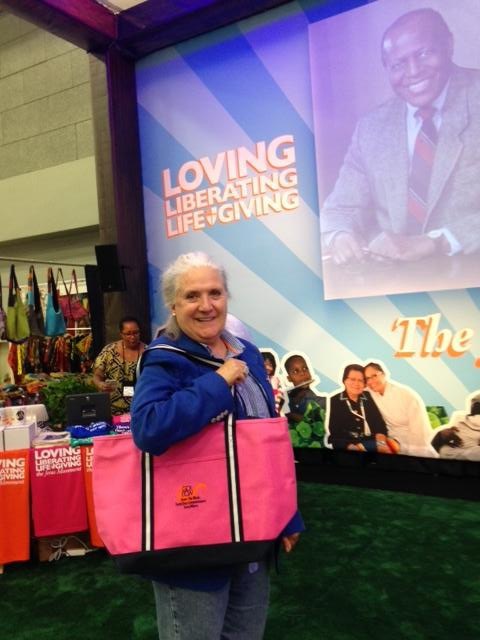 Mary Beth Welch, Province IV Representative to the National ECW Board, in front of the display illustrating the theme of General Convention: Loving, Liberating, Life-giving. 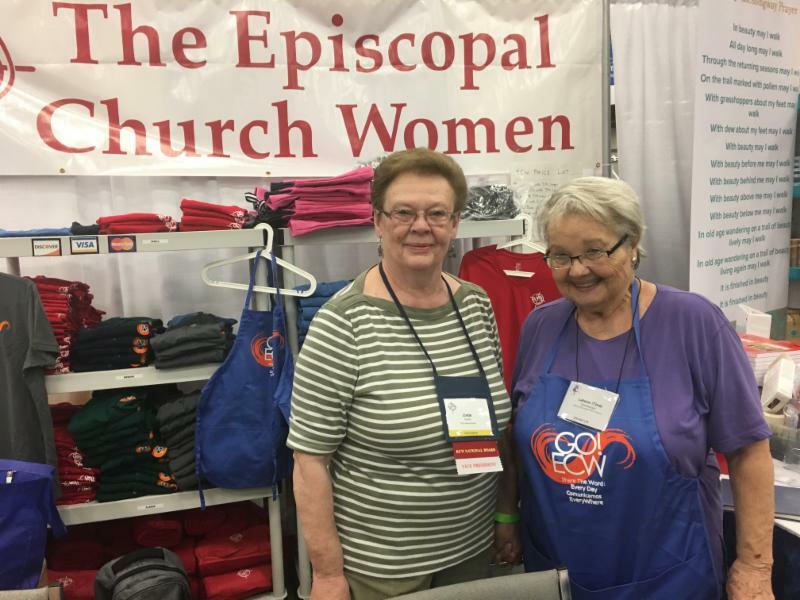 Tina Stonebarger (right), pictured with Linda Guest, 1st Vice President of the National ECW Board, is from the Diocese of Texas and is managing the ECW booth (#411 in Exhibit Hall 1). She's modeling one of the many items for sale. 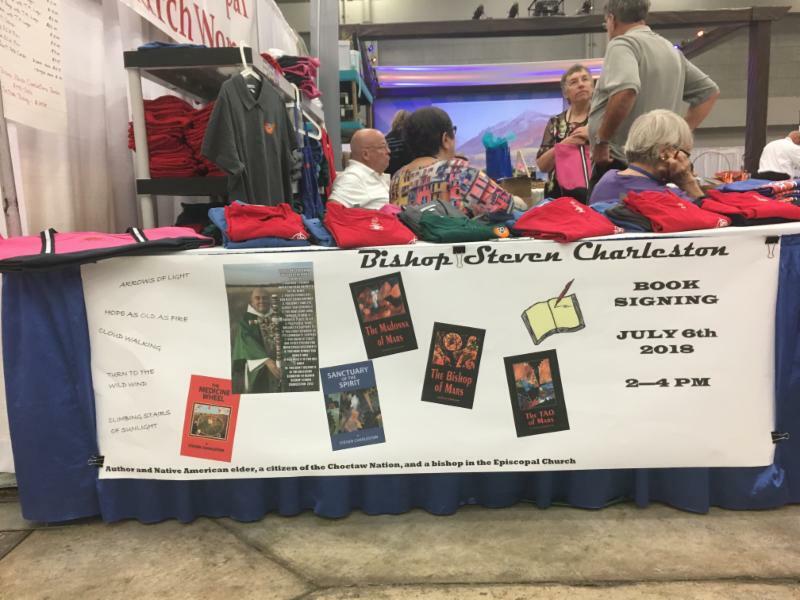 Bishop Steven Charleston , one of Triennial Meeting's keynoters, will be at the ECW booth (#411) from 2:00-4:00 pm on Friday, July 6th for a book signing. His books will be sold at the booth throughout General Convention, but if you want a signed copy you will want to attend the signing. Hint: there's a large dining area at the back of the Convention Center's Exhibit Hall 1. 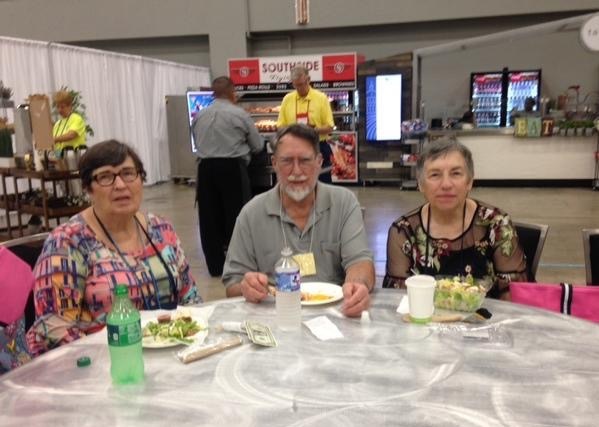 Enjoying lunch were Karen Patterson, NECW treasurer (left), her husband, Don Nathe, and Pat Wellnitz, NECW secretary. Ballroom A of the Austin Convention Center is almost ready for the 49th Triennial Meeting of Episcopal Church Women. 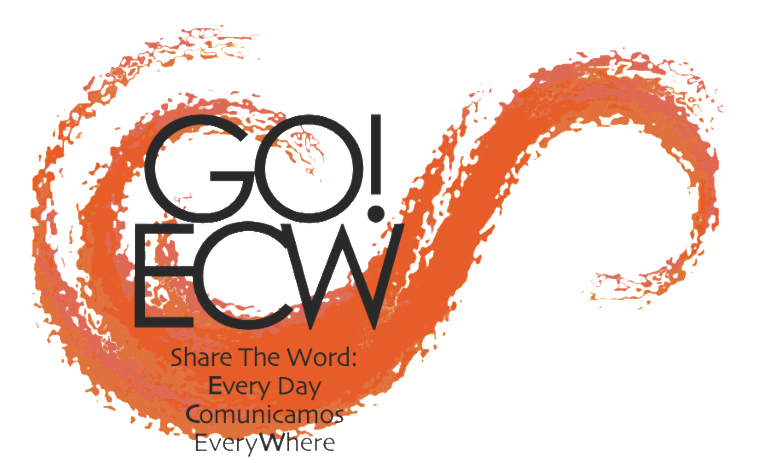 The National Board of ECW looks forward to welcoming people to this space on Thursday, July 5.